The number one complaint about nail polish is that is chips, peels and wears off too quickly. TIPS® Sticky Base Coat is the revolutionary solution to problem of nail polish peeling, chipping and wearing off and a must have for every nail polish user. No more, peeling, flaking, chipping or worn off polish using Sticky® Base Coat, which gives you up to two weeks of beautiful Polish Perfection before the growth of the nail requires a polish reset. All Ask Cosmetics Nailwear products are "9 Free Formulations" which means they have no formaldehyde, toluene, dibutylphthalate (dbp), camphor, formaldehyde resin, xylene, triphenyl phosphate (tphp), parabens, ethyl tosylamide. 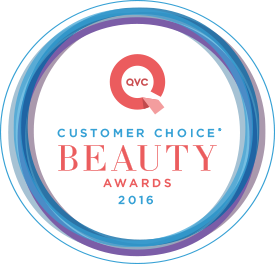 These products are also vegan-friendly and cruelty free. 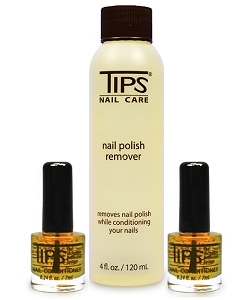 TIPS® Sticky Base Coat is designed to be applied to clean dry nails. 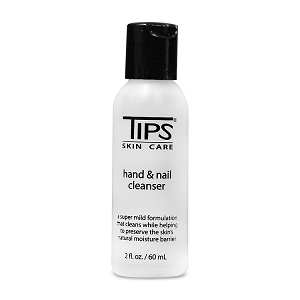 For best results wash nails well with TIPS® Hand and Nail Cleanser to remove all residue and oils. Let dry for at least 30 minutes avoiding getting anything on your nails. Do not use any lotions or creams until after your polish is dry. The ingredients in lotions and creams will make uncured nail polish bubble so wait till your polish is dry before applying any creams or lotions. On clean dry nails apply one coat of Sticky® Base Coat to the nail being careful to avoid painting your cuticles. A little extra care in this step will be well worth it in the long run. By the time you have finished applying the Sticky® Base Coat to all your fingernails you will be ready to apply the color coat in the same order that you applied the base coat, again taking care to avoid getting it on your cuticles on the first coats. The second coat can go on more quickly because you can stay inside the edges of the first color coat and it will even out and look spectacular. When your color coats are dry, apply the Diamanneal® Top Coat to seal the color to the Sticky® Base Coat and to provide a diamond hard protective layer over your color. You can add a coat of Diamanneal® Top Coat at any time to freshen your polish. 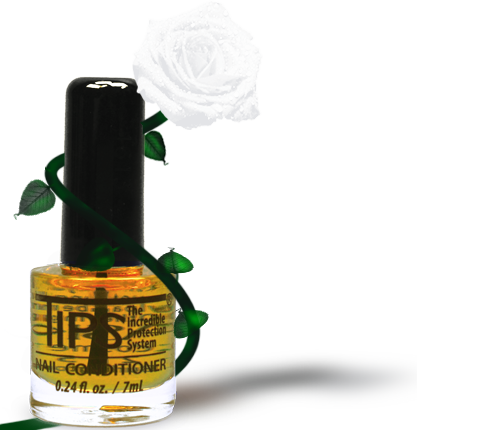 Use TIPS® Nail Polish Remover to quickly and easily remove your polish and condition your nails with TIPS® Nail Conditioner.